We hope you find some more great ideas in driveway landscaping photos 3. It's all about curb appeal, right? This is the first thing people see when they walk or drive down the street, so it makes sense to give them a good first impression. Curb appeal not only makes your house look great, but it can also help you sell much faster and even get more money for your property. Most of our driveway landscaping ideas pictures are practical and affordable that shouldn't break your wallet. You can check out the rest of our site by using our site map. We have hundreds of pages of DIY landscaping articles, information and how-to's to help you build your own dream yard. Stay with us as we continue to grow every week. You can also click on the Pinterest link in the sidebar to check out our over 17,000 landscaping pictures all nicely categorized on over 80 different boards. You'll be joining nearly 200,000 others looking for great ideas. 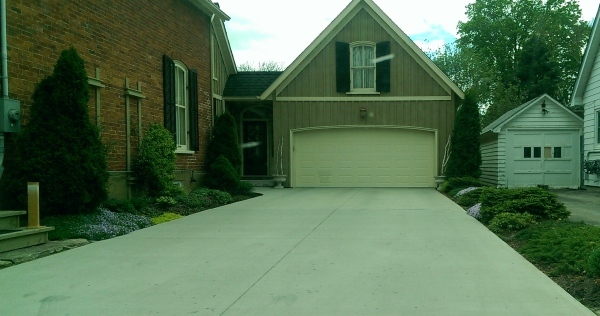 We've been getting requests for those "Harder to come by" circular driveway landscaping pictures and have found a few. There will be more to come throughout the summer. 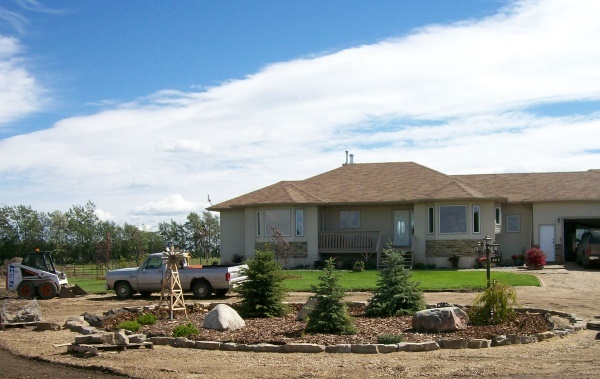 A simple, easy and affordable front yard circular driveway idea in a country setting. Large border stones placed around a perimeter of mulch over landscape fabric. 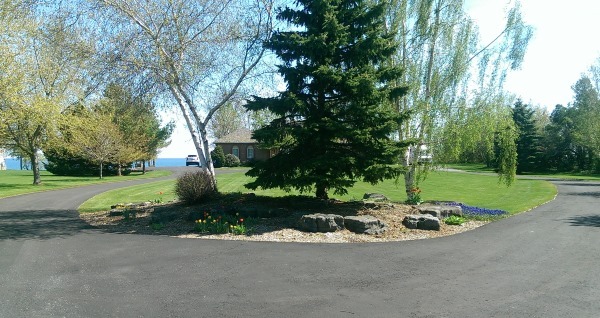 A long circular driveway with a low maintenance center island rock garden welcomes visitors to this lakeside home. A long driveway entrance with brick pillars and picket style fencing are softened by perennials beds and trees. Driveway landscaping done with low groundcovers. These low maintenance gardens eliminate mowing thin strips of grass that scatter the cuttings all over the driveways. A brick paver driveway is contrasted by red mulch and a deep green lawn. This is a very simple and affordable low maintenance front yard idea. A Driveway entrance with block pillars connected with low block walls stands out with a band of brick pavers crossing through the asphalt. Simple boulder walls line the entrance to this long driveway, Boulders are an easy way to deal with slopes.